Ask Casey Anderson and he'll tell you that for the Anderson's, music has long been a family affair. Where did this talented family come from? The father of singing legend Lynn Anderson, Casey is the son of Grace and Carl Anderson. Grace was born January 13, 1904 in Snowflake, Canada to Henry and Nancy Norton. Carl hailed from Minnesota. His dad, Charles Anderson, was from Stockholm and of Swedish descent, and his mother, Mary Anderson, was Norwegian. The Andersons certainly came by their blond hair and blue eyes through their Scandinavian kinfolk. Growing up in the cold Canadian climate, Grace was a strong woman. In 1926, she gave birth to her only child, Casey Anderson, and she and Carl had settled in Osnabrock, North Dakota. Soon after Casey's birth, the family moved to Grand Forks, ND, where they stayed for over 20 years. Casey went to school there and then served in the Navy. In Grand Forks, Casey met Elizabeth Haaby, his future wife of 65 years. After the Navy, he and Liz married and in 1947 they had their only child, Lynn. Four years later, they moved to California when Casey accepted a job in car sales at Nash Cars in Palo Alto. He was already a fan of their cars, driving one of just 500 made of the 1948 Nash Ambassador convertible. In a little ranch house they bought on Greenback Lane Fair Oaks, a suburb of Sacramento in 1957, Liz started realizing her passion for songwriting. By day, she worked as a naval office correspondent, but at night Liz was busy playing her three-quarter Martin she'd gotten from her brother, Clinton, and jotting down catchy lyrics. Grace joined son Casey and family in Sacramento in 1959. Her avid interest in horses rubbed off on young Lynn, who began competing at the Salinas Saddle Club and other local horse shows. Grace had hauled horses with her from North Dakota and a little chord organ that Liz took a fancy to. Liz started tinkering with writing songs, including "From Now On All My Friends Are Gonna Be Strangers" and "I'm a Lonesome Fugitive." Lynn attended Fair Oaks High School in Salinas, Grace rode with the Ladies Mounted Posse, and Casey was riding with the Sacramento Sheriff's Posse. The North Dakota family had settled into California. Jack McFadden, who would later manage Buck Owens and other country stars, was selling cars at the same dealership with Casey, and the two wholeheartedly loved country music. When Merle Haggard played The Palomino nightclub in 1961, Casey took Liz to the show. Only about 15 people were in the bar, and Merle sang awkwardly, sometimes with his back to the audience. He had no idea of the legend he would become. Merle's brother was his bus driver. In those days, while on the road, home-cooked meals were few and far between. He, Merle, and the band would be hungry before the bus headed on to Reno in the wee hours of the morning. Casey offered to cook them breakfast if they'd come to the house and listen to a few of Liz's songs. Lynn recalled the band gathering around her mom sitting at the chord organ. Young Lynn even chimed in once or twice on harmony, but soon went to bed. Liz played about 5 hit songs she'd written. That night set Merle on the exciting path to getting radio attention. By the time Merle and the band listened to Liz's songs and finished Casey's pancakes, Merle had found "I'm a Lonesome Fugitive," which would become his first Number One hit, and "From Now On All My Friends Are Gonna Be Strangers," which would become his fourth single. He called his band "The Strangers" until the day he died. Lynn Anderson made her mark on country music as well. Starting as a young cowgirl, Lynn said her love of horses came from her Grandmother Grace, her love of songwriters and songs came from her mother, Liz, and her showboating came from Casey. 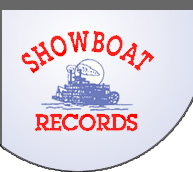 Lynn started out recording songs Liz wrote, including "Ride, Ride, Ride," which got her on The Lawrence Welk Show. Best known for her huge hit, "Rose Garden," Lynn had a string of other Number Ones and more than 50 Top 40 hits. She devoted her life to being an artist and entertainer, and through it all she maintained her cowgirl roots. At age 91, Casey, a faithful advocate for Liz and Lynn for over 65 years, has survived both of his leading ladies. His passion for the music of Liz and Lynn still persists. 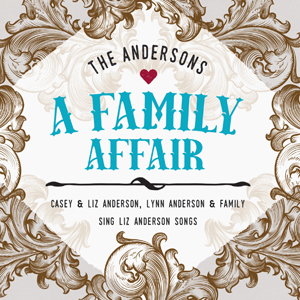 This CD joins them with Casey and Liz's grandkids, Lisa Sutton, Melissa Hempel, and Gray Stream, who are Lynn Anderson's children, along with 4 of Casey and Liz's great-grandkids, Matilda, Geddings, Lola, and Fielder, for an all-out Anderson Family Experience. After all, it's "A Family Affair."